According to rapper Ice-T, there’s a rumour that he’s lending his voice to a character in Borderlands 3. Given that this rumour didn’t exist until he tweeted about it, it’s probably less a rumour than it is Ice-T obliquely telling us that he’s voicing a character in Borderlands 3. Ice-T is voicing a character in Borderlands 3, is what we’re saying here. The long-presumed existence of Borderlands 3 is an example of an actual rumour, one which developer Gearbox finally confirmed last night at PAX East with an official Borderlands 3 trailer. Ice-T started his non-rumour on Twitter shortly thereafter, and was then retweeted by Gearbox’s official feed, so yeah – definitely not a rumour. Last night’s trailer introduced us to a host of new characters, including two new lead bad guys and four new Vault hunters, as well as a returning cast of old favourites. It’s anyone’s guess who Ice-T could actually be playing. In case you didn’t know, Ice-T is a big gamer. He regularly tweets about “gamer stuff” and has hit the level cap in Destiny 2 with his Titan. If he’s into Destiny then it’s small wonder he’s into Borderlands. Though they share little in tone, they share a lot in terms of gameplay – both are loot-fueled sci-fi shooters with co-operative PvE. 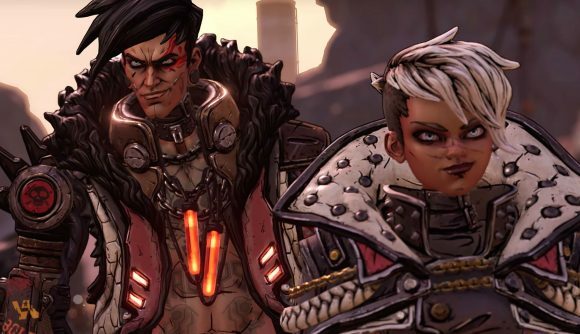 We still don’t have a Borderlands 3 release date, but we’ve rounded up everything else we know about the game so far at that link. Other than confirmation from Gearbox that it’s happening, two new trailers, and the fact that it’ll have a billion guns, the last couple of days haven’t actually yielded all that much in terms of hard news of Borderlands 3. Gearbox has promised more details on April 3 – hopefully then we’ll hear more about the story, the Vault hunters, and Ice-T.